Drunken shrimp just got a makeover. Not sure if you can call this drunken since I cut down the wine a great deal, but they aren’t 100% sober either. Serve this with some crusty bread on the side to soak up the juice! 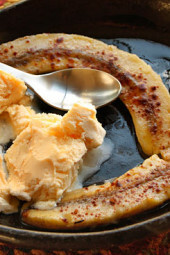 This recipe was adapted from my friend Kat of Food For Every Season. As always, the rule when cooking with wine is to use the wine you are drinking. I always have Pinot Grigio on hand. Don’t use cooking wine when a recipe calls for wine, it’s not the same. If you are not a wine drinker, buy a small bottle just for cooking, and keep it in your refrigerator. Heat olive oil and butter in a skillet. Add garlic, pepper flakes, and sauté 2-3 minutes. Add wine, clam juice, lemon juice, anchovy paste, parsley, salt and pepper, and stir. Add shrimp and cook for 2-3 minutes. Do not overcook the shrimp or it will become tough and chewy. 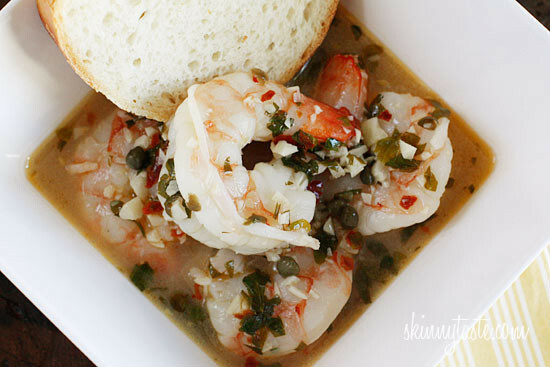 Serve shrimp with liquid in a bowl and some crusty bread on the side to soak up the juice. This should be a good treat for kids having a good job at school. 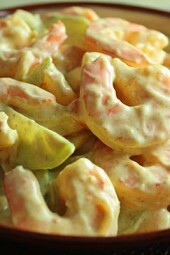 My eldest love shrimp and we’re going to request this to the wifey. One of our favorites! We stir I in a pound of cooked spinach just before serving. Delicious. Makes it a complete meal. So delicious and a joy to make! So delicious!!!! Spicy, but so good!!! I want to drink the sauce! This looks really good! Thanks for the tip on wine, I had no clue cooking wine was different from regular. This is a fabulous dish!!! 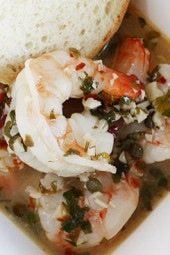 Just a note…Instead of clam juice, use shrimp broth. There is so much flavor in the shrimp shells. I always make a quick broth with a clove of garlic, all of the shells and a pinch of sea salt, boiled in about 2 cups of water for about 30 minutes, then strain. I usually freeze the extra for shrimp risotto. Thank you so much for this site! Hi Patrick, thanks for pointing that out. I keep the breakdown written in a notebook so I think my mistake is the amount of shrimp in lbs vs ounces. It should be 4 cups shrimp which is 8 pts total according to my Weight Watcher Food Companion. And yes, The anchovy paste is a must! WOW. Another slam dunk. DO NOT omit the anchovy paste: it is the secret ingredient in many an Italian sauce, and this one is no different. As it cooks, it takes on a slightly salty, slightly I-don't-know-what-that-is-but-I-love-it flavor that makes everything taste better (it's my secret ingredient in WW Tuna Casserole). 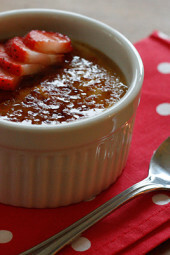 This recipe, like all the others I have tried on Gina's blog, is a definite keeper. YUM YUM YUM! I was just looking for something for dinner tonight, and this jumped out at me. But when I enter the ingredients into the WW Recipe Builder online, it came out as 31 total points, or 7.75 pts per serving. If you reduce the shrimp to 1 pound, it came out to 5.25 pts per serving. Is the recipe supposed to be for 1 lb of shrimp? I'm sure this is amazing over pasta! i made this recipe tonite for dinner!! it was soo good! We put it over wheat pasta bc i was really hungry!! it was amazing! thank you for sharing it! Great idea about freezing the wine in ice cube trays! All of your recipes are so fantastic and this one sounds amazing as well. When we have a bottle of wine we usually don't finish it and I freeze the remaining wine in ice cube trays. I think each cube comes out to about a tablespoon (or at least I treat them that way!) and it works perfectly when you have a recipe that is asking for just a taste. But if a recipe asks for half a cup or more, then its time to open a bottle! Thanks for the recipe, it’s much more healthy and low fat than mine! This sounds like a really nice way to enjoy shrimp! We agree that all things cooked in booze are good to go! Love everything cooked in wine 🙂 Looks delicious! I just nominated you for the Attitude of Gratitude Award! I hope you will accept. 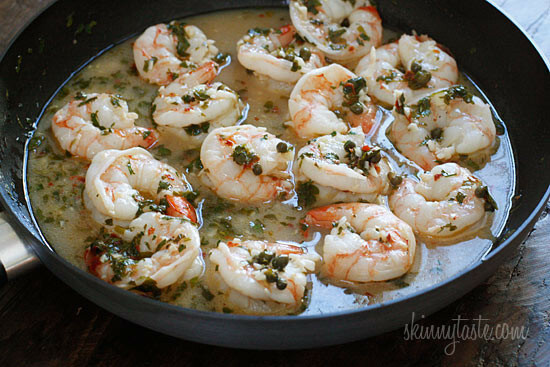 Booze, shrimp, butter…I’m all over this…I’ll bring the bread. If you can’t find clam juice, I’m sure it would be just as good without it! Once again Gina you come up with wonderful, simple yet delicious recipes. I can’t live without your Zucchini soup. I think I told you I eat it cold and I added curry powder to make it a bit more exotic. Barbara (None of the categories fit what I have so I have to put Anonymous. Oh, these sound amazing. I have just about all the ingredients but the anchovy. I joined WW two weeks ago, and your recipes are a life saver. They totally make me feel like I can follow the plan. Am going to make the 1 point black bean soup for dinner tonight, and am planning on making the black bean brownies for dessert on Easter. This sounds AMAZING! I’m making this, this week! This looks and sounds delicious, Gina.